LOCATION The property is located to the North of Horsham’s busy town centre with its vast array of local and national traders, as well as a thriving cafe and restaurant culture. This three bedroom house is set in a convenient location, close to Tesco Express and a local parade of shops, which includes a pharmacy and post office. The property is approximately 1 mile from both stations providing access to London as well as being within easy access of A264 and M23. PROPERTY This three bedroom family home comes to the market in good condition throughout and is nicely located within a small cul de sac close to both Horsham and Littlehaven Station. The property comprises 16ft lounge opening on to a great kitchen breakfast room to the rear of the house with doors to the garden and side. There is a covered lean-to to the side providing access to the garden and garage which like some in the area, has lots of potential to become part of the accommodation. To the first floor are three good sized bedrooms and family bathroom. 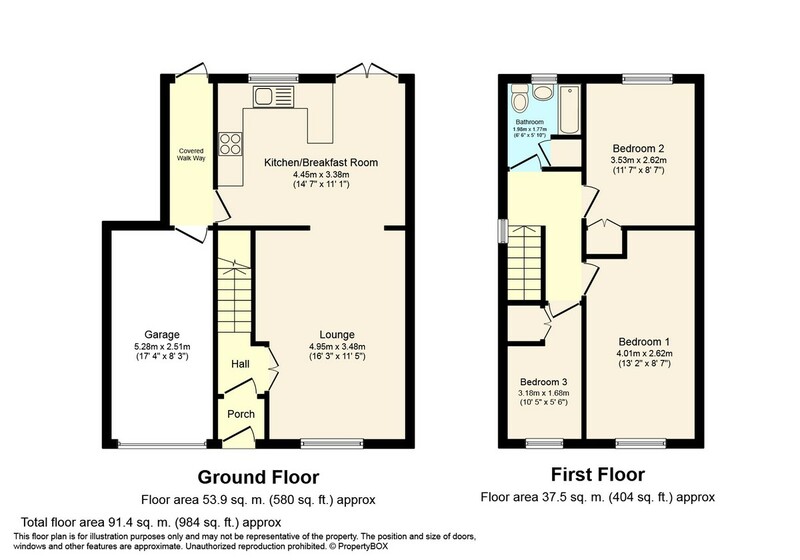 The property is double glazed throughout has plenty of potential to enlarge subject to planning. OUTSIDE To the front of the property is driveway parking for two vehicles in front of the garage with up and over door. To the rear is a small patio area adjacent to the property leading on to and area of lawn leading to a further patio.